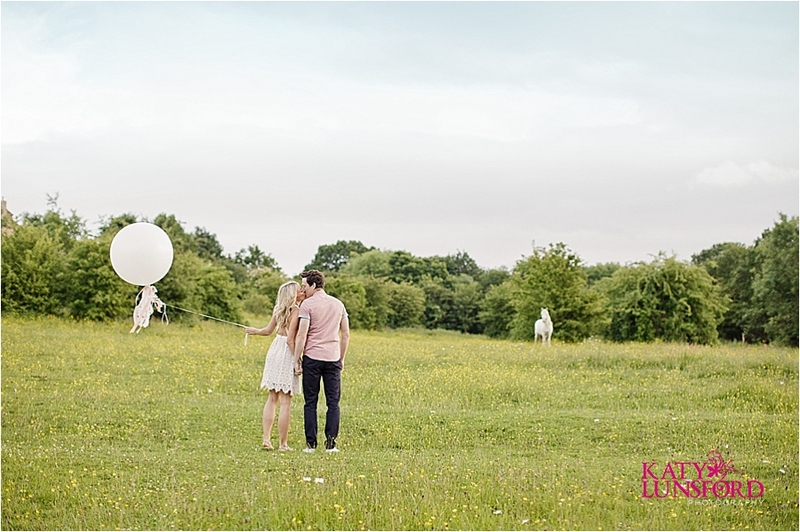 I love it when a couple really make an effort for their engagement shoot – whether it’s a beautiful location, cute outfits or fun props. 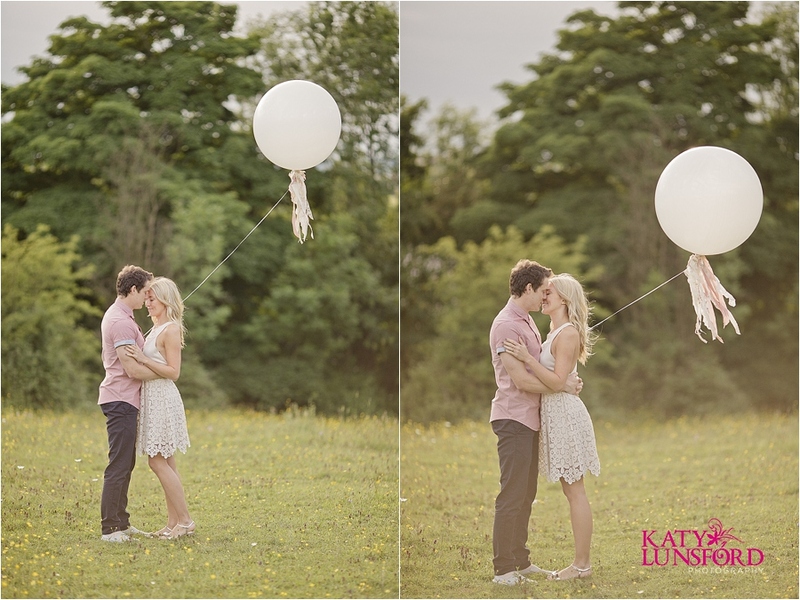 It makes such a difference to the photos and gives the shoot more of a focus. 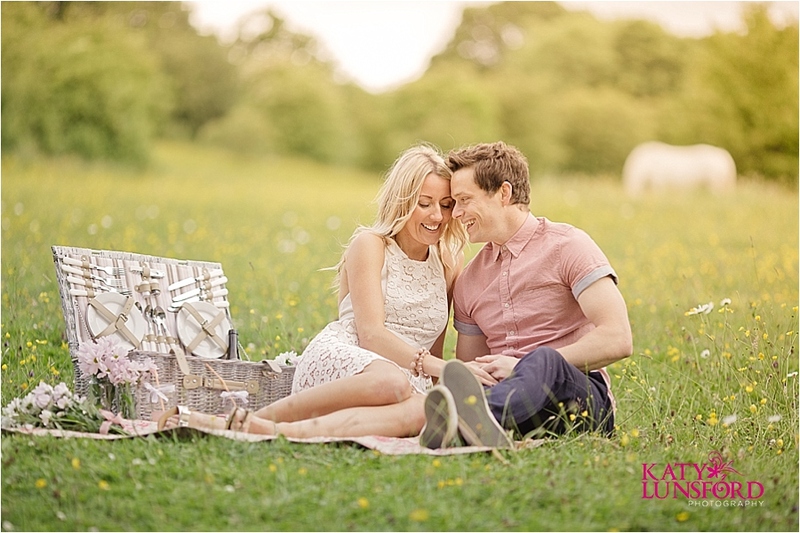 Filippa and Darren used to live in a flat with no garden, so on sunny days they would bring a picnic to the field nearby. 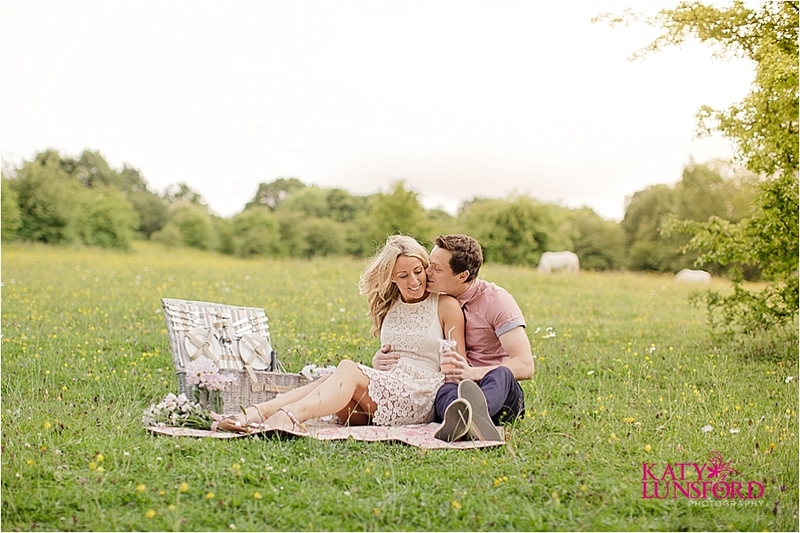 I loved the idea of taking a picnic to this field for their shoot, and it meant so much more doing the shoot in a location that means something to the couple. 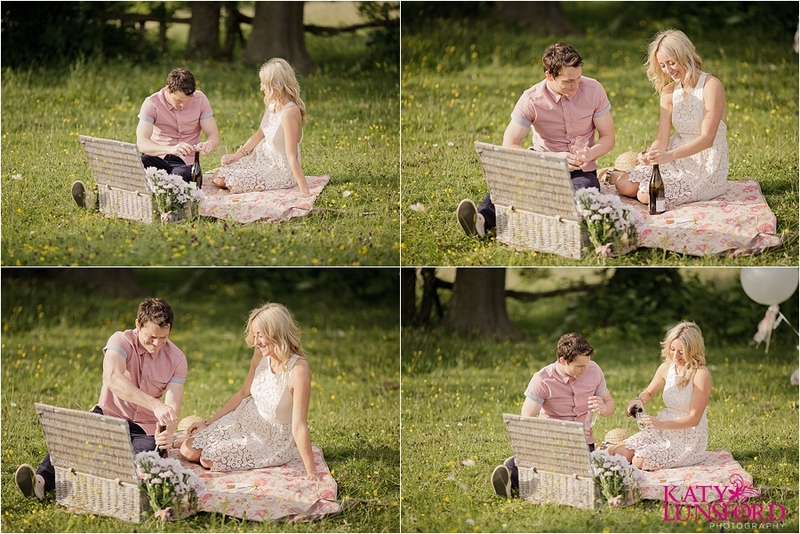 The photos will not just bring back memories of their engagement, but many happy times they shared before that. 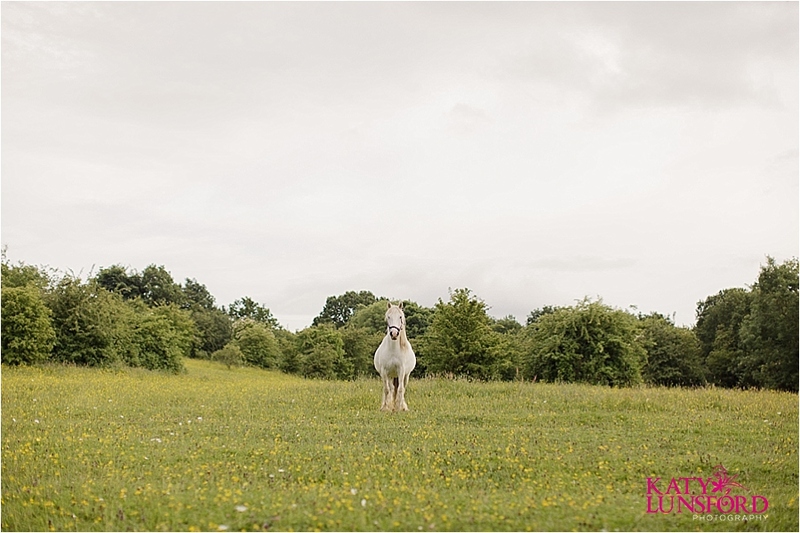 I was delighted to find that the field was full of flowers, and belonged to two beautifulwhite horses (I know, grey, but white horses sounds better), who looked slightly confused as to what we were doing in their field, and came over a few times to see. 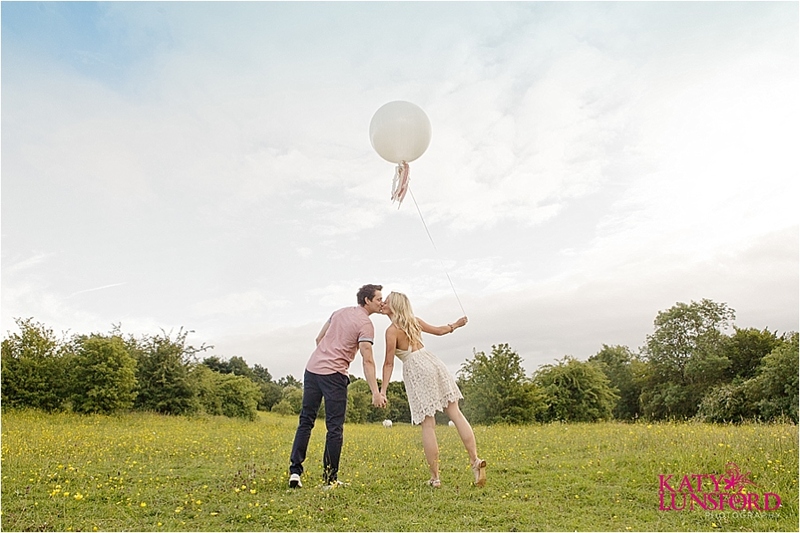 Filippa and Darren created the most gorgeous gourmet picnic, a veritable feast of crusty bread, cheeses and meats, complete with fresh flowers, pink lemonade in jam jars, and an enormous white balloon adorned with vintage lace and ribbons. 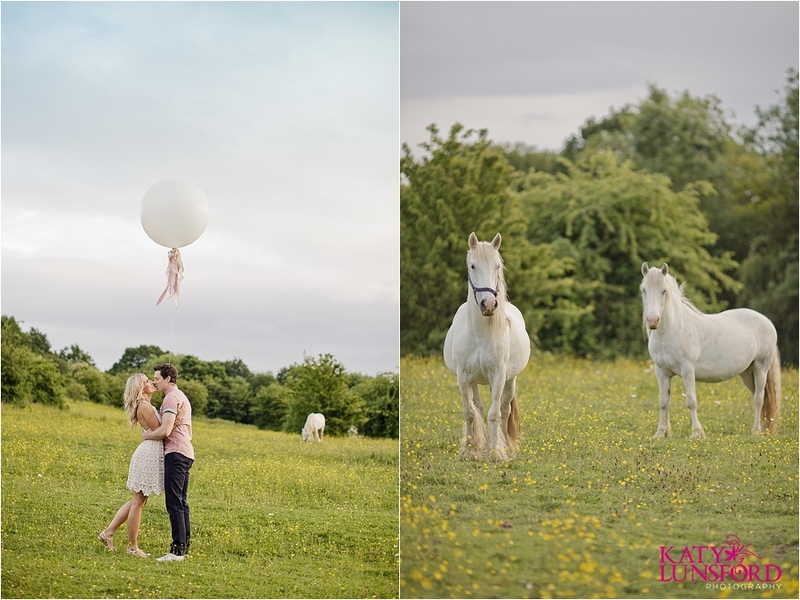 (I can’t wait to see what they do with the wedding!) 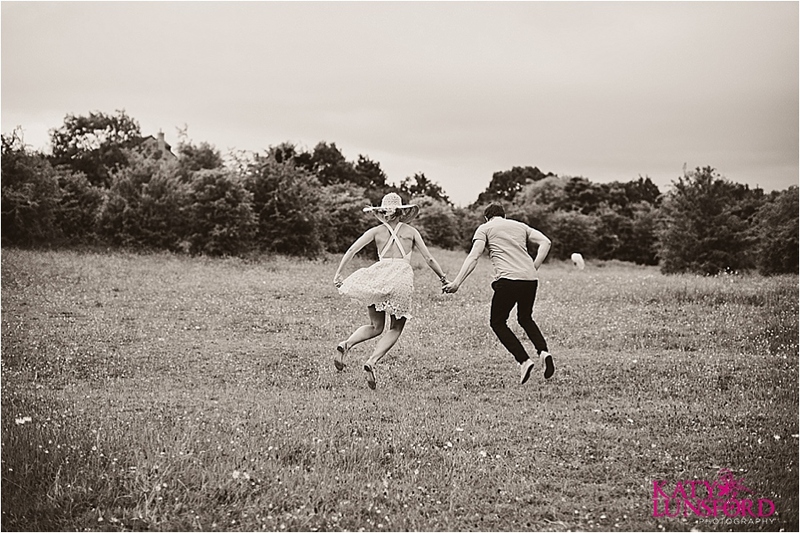 They dressed up too – I adore Filippa’s backless lacy dress and floppy straw hat! 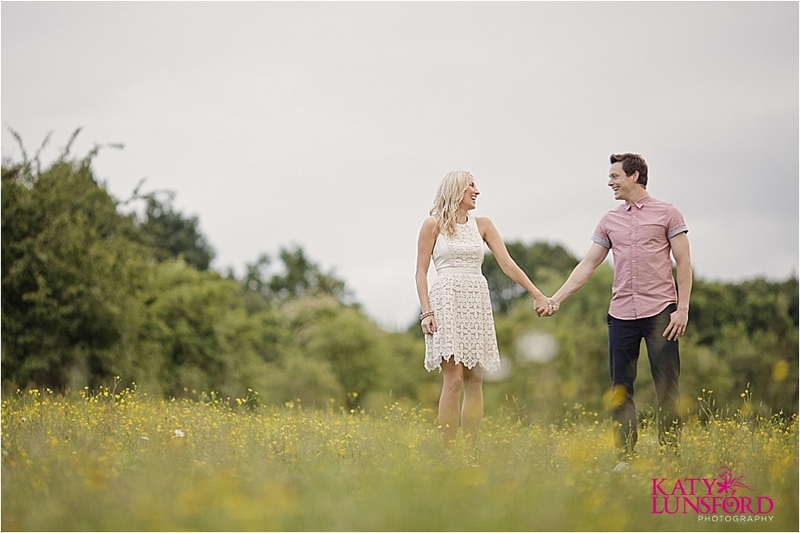 Filippa & Darren get married on Friday, and I know it is going to be a wonderful day. 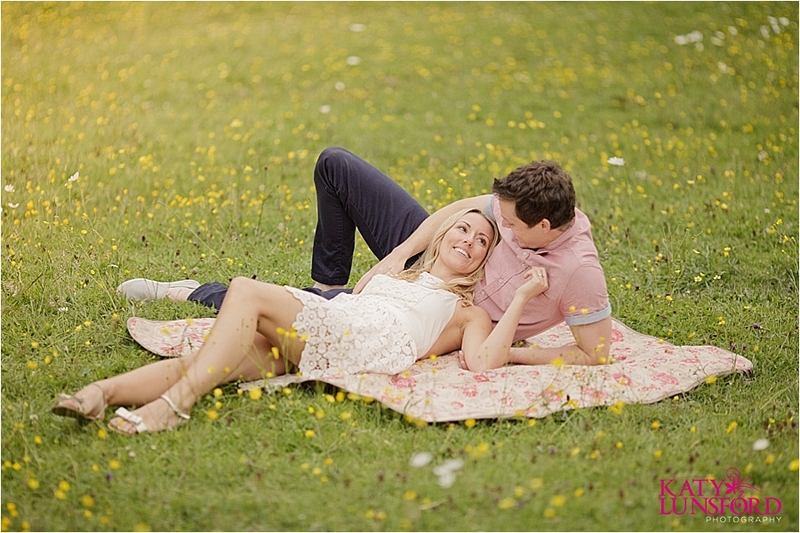 Without further ado, here are Filippa & Darren’s wildflower meadow picnic engagement photos.